Gangoobai stars Sarita Joshi, Purab Kohli, Meeta Vasisht, Raj Zutshi, Gopi Desai, Rushad Rana, Nidhi Sunil, Behram Rana, Ankita Shrivastav & Aparna Khanekar. It’s written, edited & directed by Priya Krishnaswamy. The film is produced by NFDC. The script was among the six short listed scripts for NFDC’s screenwriting lab at Locarno Film Festival in 2009. Gangoobai, a childless, elderly widow, has lived her whole life in the tiny colonial hill station of Matheran, set in the spectacularly beautiful Sahyadri mountain range about 4 hours’ drive from Mumbai. Her world consists of tending to her beloved flowers and working as domestic help in a few homes, among them that of the wealthy Hodiwala family who own a weekend bungalow in Matheran, an eco-sensitive zone where no vehicles are allowed, not even bicycles. Gangoobai’s quiet life is suddenly disrupted when, one day, she sees the Hodiwala’s teenage daughter wearing a magnificent designer Parsi sari of white Chinese motifs embroidered on a background of purple silk. The old woman falls instantly in love with this exotic, expensive, custom-made creation — and longs to own one herself. Driven by this unlikely obsession, Gangoobai manages, against all odds, to save the money over 4 years of hard work and despite some wrong judgments, and finally finds herself in the big, polluted, overcrowded city of Mumbai — an urban nightmare she is utterly unprepared for. Here, filled with fears and misgivings, she is pleasantly surprised to find that people are the same everywhere, despite all outward appearances to the contrary, and that even the hardest heart can be transformed by kindness and love. Finally, one day, Gangoobai collects her designer sari and attains her dream, only to face ultimate failure and betrayal at home by one whom she holds closest to her heart. Yet, her essential goodness and unfailing generosity to life redeem the destruction of her dreams, and set her life on a path that surpasses anything that she could ever have imagined. Mangesh Hadwale made his debut with a marathi film called Tingya which was well received. And now he is ready with his first hindi feature Dekh Indian Circus. It stars Nawazuddin Siddiqui and Tannistha Chatterjee and recently premiered at the Busan Film Festival. Jackass Kumar is the host of MasterChef India (Promo). 2mins of just nothing! Last time he cooked, we had Chandni Chowk To China. This time he is on the small screen. Akshay Kumar is the host of the MasterChef India, to be aired on Star Plus. The first promo of the show is out. Its more than 2minutes long and says nothing! Wow! Now, that needs some serious talent. Well done. Can someone please enlighten us about the brains behind the promo ? First Look : Abhinav Kashyap’s Dabangg (Trailer) – Wanted Redux ? One more directorial debut. Abhinav Kashyap, writer and brother of Anurag Kashyap is ready with his directorial debut – Dabangg. It stars Salman Khan, Arbaaz Khan and marks Shatrughan Sinha’s daughter Sonakshi Sinha’s debut. We had heard lot of good things about the script and the film but when we got to know about the cast, were very skeptical about it. And surely we werent expecting this..it looks like Wanted Redux! Plus, Salman Khan’s firangi accent with seeti maaro dialogues and a story which is set in hinterland of North, with a filmy treatment that looks like typical South spice – complete mish-mash! But as the distributors say, hit hai sirji, hit hai! Naah, we are not the audience! Thanx for the tip Sreeni_k. We had no clue about this film. Who made it, when, where, why and how! Found this promo while surfing the blogosphere. And it looks damn interesting. Starring Vinay Pathak, Mahie Gill, Sourabh Shukla and Mona Singh, its directed by Srikant Velagaleti. Shot on a budget of 4 crore….its the indie gang! Sudhir Mishra’s next – Dil dar-ba-dar or Yeh Saali Zindagi ? Watch a clip from the film & you decide! We are back! Yes, we know you guys missed us a lot. But what to do, we were busy with life. A separate post coming up soon on matters of life and more. Sudhir Mishra is ready with his new film, starring Irrfan Khan, Chitrangada Singh and Arunoday Singh. Woohoo! Set in Delhi, its written by Manu Rishi. Though we dont know much about the story of the film yet but it seems to be on the lines of Mishra’s Iss Raat Ki Subah Nahi. hum sochte kuch aur hai….woh saali sochti kuch aur hai…. yeh saali zindagi…yeh saali zindagi….. Yes, that’s the lyrics of the title song of the film. Its by Swanand Kirkire and music is by Shantanu Moitra. Sudhir has also released a small clip from the film to give you a feel of the film. Do watch and help him decide, whats better – Dil Dar-ba-dar or Yeh Saali Zindagi ? Our vote goes for DDBD! Plus it seems like an ode to the cult classic Om Dar-ba-dar. If you haven’t seen it yet, you seriously have missed something. But then, Yeh Saali Zindagi seems catchy too, and if the duo Swanand-Shantanu has delivered a tkiller title track like Khoya Khoya Chand again, then YSZ would be damn good! Aha, we are also getting confused. 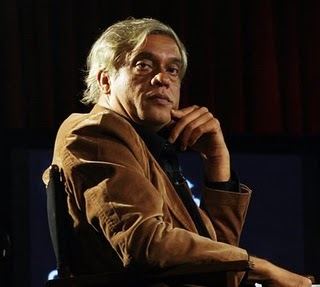 Why blame only poor Sudhir Mishra for getting in that confused state! Plus any buzz for an indie film is always good!